Getting surgery is a stressful experience that poses varying degrees of risk depending on the procedure, but it’s a chance many people are willing to take if it means that it can improve a health problem. A desire to get rid of chest pain drives many patients to have heart stents put in, but a new study has shown that this is one procedure that most patients are far better off skipping. 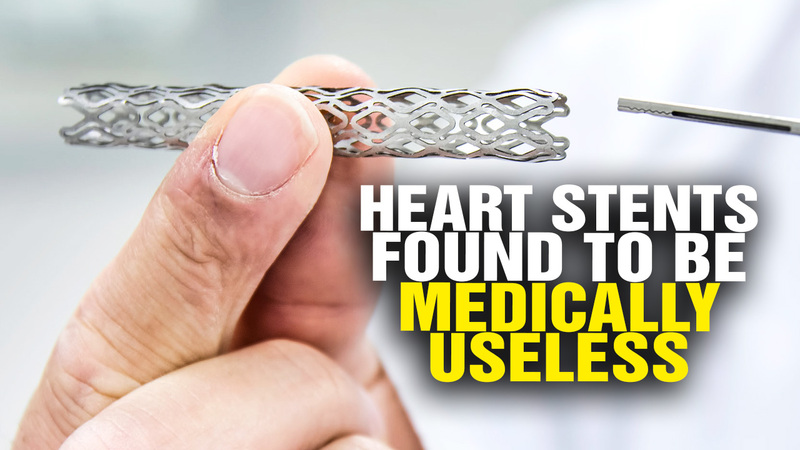 Stents are tiny wire cages that are inserting into blocked arteries to open them up. When a patient is in the midst of a heart attack, a stent can save their life. However, most stents are placed electively to help abate the chest pain that blocked arteries can cause some people as they make certain movements, such as walking uphill or ascending a staircase. In some cases, people have them put in for blockages even without pain. It’s a very common procedure, with around half a million heart patients each year having them inserted. The procedure costs as much as $41,000 in the U.S., so it’s also a nice moneymaker for surgeons and those who sell the devices, such as Abbott Laboratories, Boston Scientific, and Medtronic. However, a new study that was published in the Lancet could cause the popularity of this procedure to plummet after revealing that there was no difference between patients who were given heart stents and those who underwent a sham procedure. For the study, researchers from Imperial College London operated on 200 patients who had severely blocked coronary arteries and chest pain that was strong enough to limit their physical activity. All of the participants received a six-week course of drug treatments to reduce their risk of heart attacks, which included aspirin, statins and blood pressure drugs, along with medications that can help alleviate chest pain by opening blood vessels or slowing down the heart. Afterwards, they all underwent a procedure in which doctors put a catheter through their wrist or groin and used an X-ray to guide it up to the blocked artery. Some had a stent inserted once the catheter got to the blockage, while the doctor pulled the catheter out without inserting anything on other patients, who served as the control group. The researchers and patients were not privy to who had been given a stent, and all patients were given drugs to prevent blood clots after the procedure. Six weeks later, both groups reported having less chest pain and performed better on treadmill tests than they did before the procedure. In fact, there was no real difference between the groups, prompting doctors to write in an editorial that cardiology guidelines should now be revised. They stated plainly that the procedure has no benefits. Is it time to scrap this unhelpful approach? The University of California, San Francisco’s Dr. Rita F. Redberg said that because the procedure carries several risks – and death is one of them – the insertion of stents should only be reserved for those in the throes of a heart attack. Stenting is so widely accepted in this country that many cardiologists expressed surprise that ethics boards allowed a sham procedure to be performed on the control group. In the UK, however, getting such a study approved was far less difficult. This study, like many others before it, illustrates just how powerful the placebo effect can be. It also could lead to dramatic changes in the way some patients are treated, with the possibility of many being given drug therapy alone instead of risky surgery. While medications aren’t without their own set of dangers, it’s a far less invasive option than inserting foreign objects into their arteries. In addition, the editorialists of the study pointed out that doctors should be more focused on helping heart patients improve their lifestyle choices, such as smoking, diet and exercise.